We're at my in-law's place in Maine, tenuously trying to figure out if we're going to be able to fly out on Sunday morning as planned. Right now we're operating under the "we'll see" mantra. Irene may alter our plans. I've been regularly visiting Maine since late 2005, when Megan and I first met. Her in-law's place is an awesome playground for any naturalist. With over 50 acres of woods, streams, marshes and ponds, I am in heaven here. A few years ago, I made a short film of Little Pond- if you have a few minutes and you'd like to get the full experience, you can find it here. Photographically speaking, it isn't difficult to find new and interesting photographic subjects. BUT, it is really easy to take the same photographs over and over, which leads me to today's story. Although I've photographed the floating leaves of watershield before, I've never really done it well. 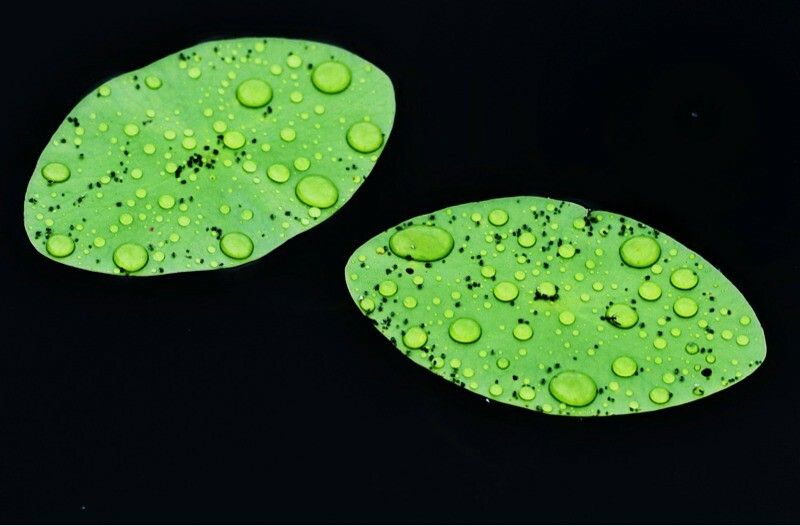 Today's overcast skies and rain led me to these two floating leaves. But one image didn't tell the whole story. Just what are those black dots? As I leaned over the edge of the dock on my stomach, I had my answer. Yes, some of the spots were discoloration in the leaf tissue, but most of the spots had tiny legs. They look to be some type of insect nymph, but I'm not eve sure what family they might belong to. That will have to wait until we get back and I can have a better look at them. And that brings me back to Hurricane Irene- I'm closely following the Hurricane track to see if there's any possibility of us flying out on Sunday- we'll see! That first pic is awesome. Stay safe! Hey Tom! I love all of your close up pics...it's like a different world. Thanks for showing us what our eyes can't pick up! 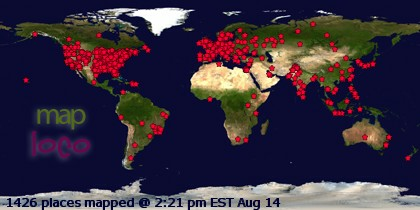 Good luck with Irene...better safe than sorry, leave when you can. I see cornicles which would make these aphids. A quick search for waterlily aphids turned up some possibilities. THanks Heather. I've tried this shot so many times without getting something that I really liked. I'm happy with this image, thanks for your kind words. Chris- It's good to here from you. I read your blog, I should comment more frequently! We've re-booked our flights so that we'll be here for Ireine, but hopefully by the time it reaches us the storm will have diminished greatly. Troy- Thanks for pointing those out. It's hard for me to see these photos clearly using my ipad. Once I get home I'll zoom in and look at them 100%. 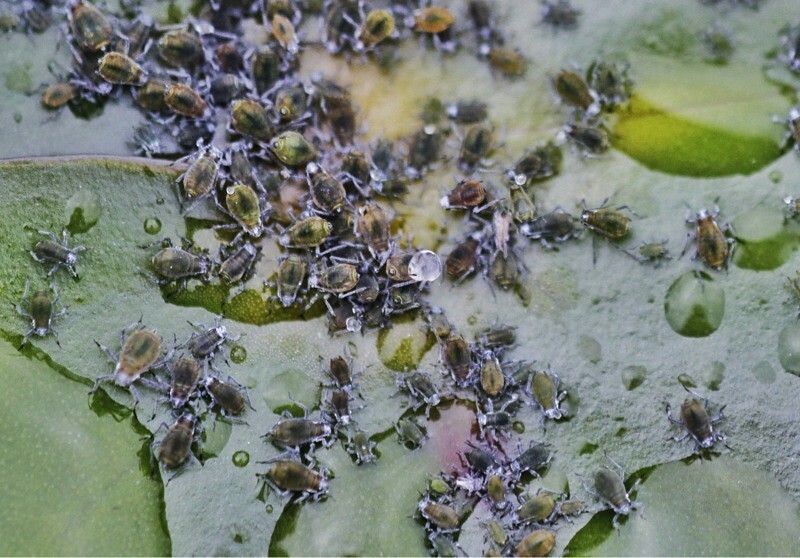 Very interesting that they're aphids- it makes sense, but I would have never thought that aphids might live on lilypads. I bet they have an interesting life cycle.